Don't be fooled into thinking that when you buy a copper roof that the colour of your roof will be copper, well at least not forever. The weathering process of copper is 3 fold. 1st it is installed in its natural state, which is a bright metallic finish with the golden orangey glow that we all commonly know to be the colour of copper. 2nd it will start to dull down within the first few months depending on the severity of the weather to a brown colour. It can be acquired in this state and is known as Oxide copper. 3rd The copper will eventually turn 'Verdigris' which is French, meaning to go green. It can also be acquired in this green state and is known as pre patinated copper, pictured on this page are a few examples. Pictured above you will notice the copper starting to dull down in places this is the beginning of the weathering process and this roof will soon be entirely brown. 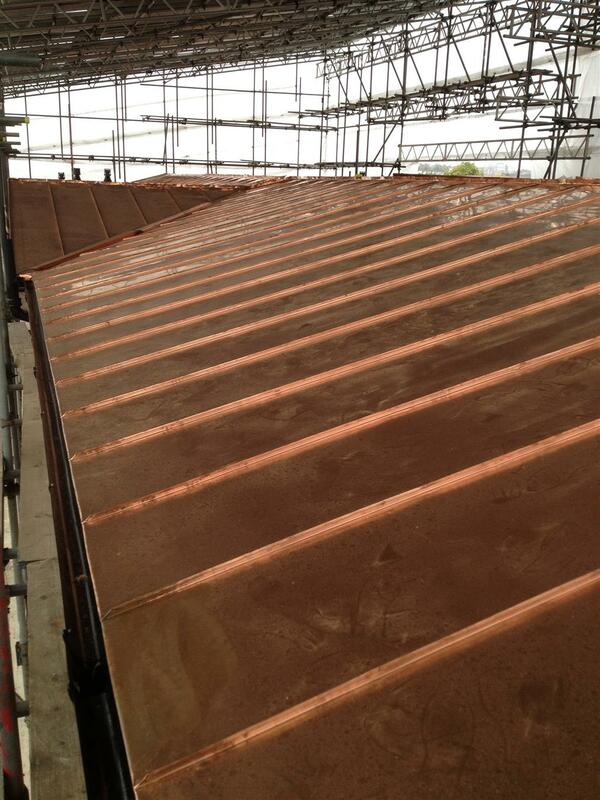 Pictured above is a traditional standing seam roof which has been carried out in sections, this particular example is called a herringbone due to its corresponding diagonal segments but traditional copper roofs are usually small rectangular sections. This roof has stood for a long time indeed and as you can clearly see is completely green, the last stage of the weathering process 'Verdigries'. Call us on 0208 657 7725 (local rate) or 07917 043 013 for any further information. 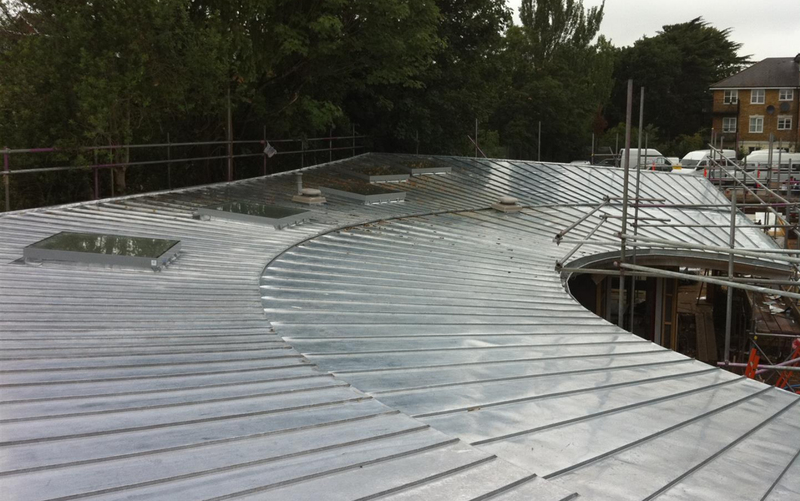 Alternatively, we also have zinc roofing available in Surrey, Sussex and throughout the surrounding areas.